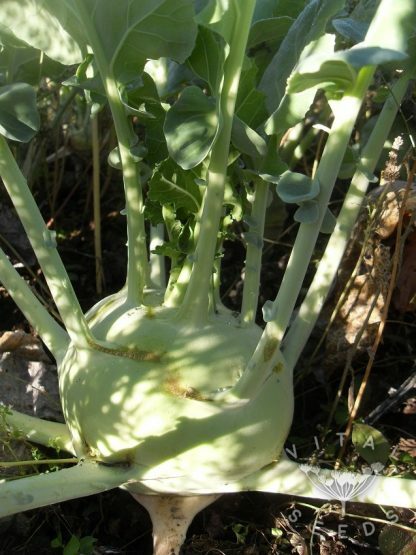 A light-green kohlrabi that will remain tender and sweet to a huge size. If left to grow it can reach up to 8kg. It is resistant to bolting and splitting. 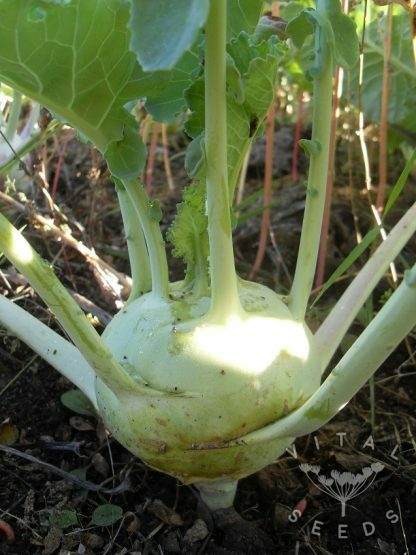 Fred has been growing Superschmelz kohlrabi for years. “It gets huge, it stores really well AND it stays tasty and crunchy!”, is his verdict. 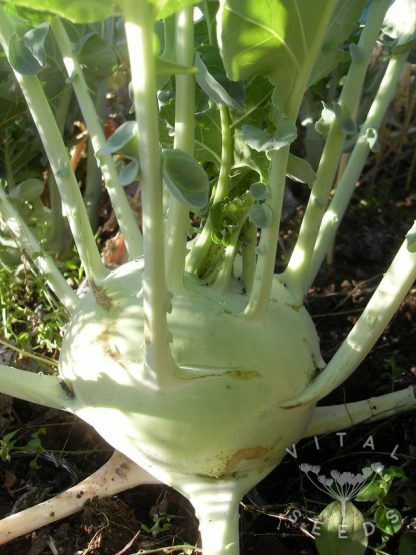 We think kohlrabi is best eaten raw in salads or straight from the garden. It is also nice pickled or cooked in various ways.